Venturing away from their normal fare of minimalist footwear, Amsterdam Shoe Co. has released this “Market Tote” for Summer 2012. 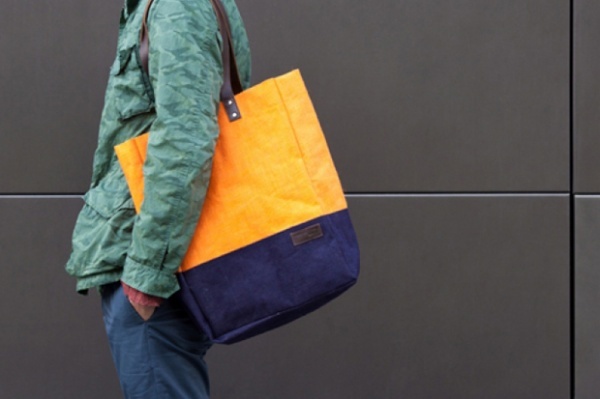 Fair Trade Certified and handcrafted in Bangladesh, the bag measures 45x32x16 cm and features a 100% golden fiber jute alongside cotton poplin lining and a waterproof layer, making the tote perfect for that afternoon trip to the beach or pool. Featuring leather handles fastened with metal rivets, the bag also includes an internal compartment for your valuables. Available in both Natural and Vibrant Orange, each in a limited run of 20 pieces, the Market Tote is now available from the Amsterdam Shoe Co. web shop for $100 USD.